This study in long-term residential care is timely given the shifting demographic trends in aging in Canada, where seniors now for the first time outnumber children. 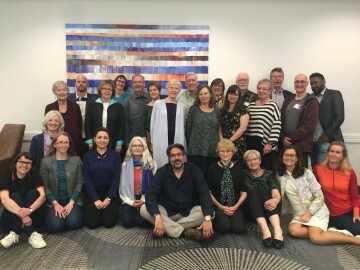 Led by research faculty and graduate students from diverse backgrounds in sociology, medicine, social work, history, media studies, philosophy, architecture, health policy and more, this project identifies promising practices and ideas worth sharing that support the respectful and equitable treatment of care providers and residents in long-term care, especially those from vulnerable sectors in society. To address the complexity in long-term residential care, the research is divided into four areas: Approaches to Care, Work Organization, Accountability, and Financing and Ownership. ADERSIM (Advanced Disaster, Emergency, and Rapid Response Simulation) is a modern Emergency Operations Centre at York University. In addition to ADERSIM functioning as a real emergency operations centre (equipped with the IBM Intelligent Operations Center for Emergency Management) responding to real emergencies, it serves as a facility for faculty and students interested in disaster research to develop disaster simulation tools and technologies. It is also used as a place where governmental, non-governmental, and private sector agencies come to participate in collaborative research and training. 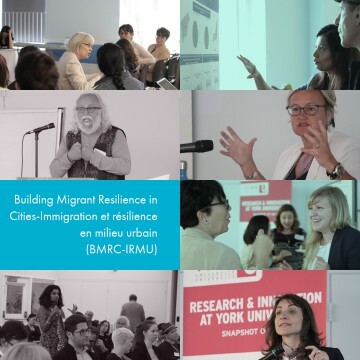 "Building Migrant Resilience in Cities/ Immigration et résilience en milieu urbain is a research program designed to contribute to the swift and successful settlement of international migrants in Canadian urban areas, both large and small. In collaboration with CERIS, Ontario’s leading migration studies network, along with government, non-governmental organizations, and other academic institutions, the BMRC/IRMU partnership is analyzing how newcomers overcome the economic, political, and cultural challenges that they face in their search for employment and greater security for themselves and their families in Toronto, Montreal, and a range of municipalities in Ontario and Quebec. Using the evidence generated from its analysis, the partnership is developing and piloting policy strategies and evidence-based practices that will provide social institutions and organizations the tools to promote migrant resilience." The Youth Research and Evaluation eXchange (YouthREX) is a province-wide initiative based at York University with five regional and community hubs across Ontario that promote the integration of research evidence and evaluation in the development and delivery of Ontario’s youth programs. YouthREX regional hubs engage local grassroots youth serving organizations, academic partners, youth and policy stakeholders in capacity building, knowledge exchange, research and evaluation opportunities. YouthREX is primarily funded by the Ontario Ministry of Children and Youth Services with extensive contributions from York University and the three partner universities. 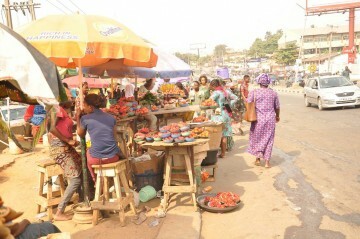 This six-year research project has mobilized a team of international partners and feminist researchers to conduct research on the lives of women living in poverty in seven lower middle-income cities: Cairo, Cochabamba, Georgetown (Guyana), Ibadan, Mumbai, Ramallah and Shanghai. The study is advancing understanding of how the relationship between poverty and inequality is being transformed amidst rapid urbanization, and how gender relations and women's right to the city are being reconstituted in the process. The research findings will inform public education programs, policy initiatives, and community practices designed to alleviate economic and social insecurity faced by women, who represent a disproportionate percentage of the urban poor. Forced marriage, among other forms of sexual violence, is a systematic and strategic tool of war. This SSHRC-funded Partnership Grant (2015-2020) documents cases of forced marriage in conflict situations in west and central African countries, places this data in historical context, and uses its evidence-based research to advocate for prosecution of crimes against humanity and for local reparations for survivors of violence. 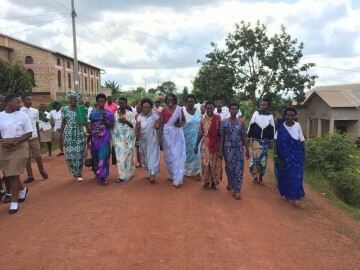 Working closely with community-based organizations in Africa, the research group strives to empower women and men who are survivors of conflict violence, enhance the capacity of individuals and organizations to prevent violence, and advance understanding of the use of conjugal slavery as a tool of war. Closing the Gap is a collaborative cross-sectoral research initiative that seeks to inform effective employment standards (ES) enforcement with an emphasis on the Ontario case. In Ontario, the Employment Standards Act (ESA), which sets the minimum standards in areas such as wages, working time, and vacations/leaves, is the sole source of protection for over 6 million workers in the province. Using a mixed-methods approach, researchers are mapping the nature and extent of ES violations and analyzing gaps in coverage under the ESA, as well as its enforcement on the ground. The results are demonstrating that a significant “enforcement gap” exists in the province. To date, the partnership has produced numerous academic publications and held many community and policy forums. Lead researchers have also participated in the Ontario government’s Changing Workplaces Review, contributing to the passage of the Fair Workplaces, Better Jobs Act (2017), which adopts several recommendations emanating from research produced under the auspices of Closing the Gap.